Having to lose a tooth isn't that much fun. Sometimes, it just has to happen. You don't have to live with a gap in your smile forever, though. You won't have to thanks to dental implants. Yes, they aren't cheap, but they are permanent. Aren't you tired of having to take out your dentures and clean them? Well, no more of that! 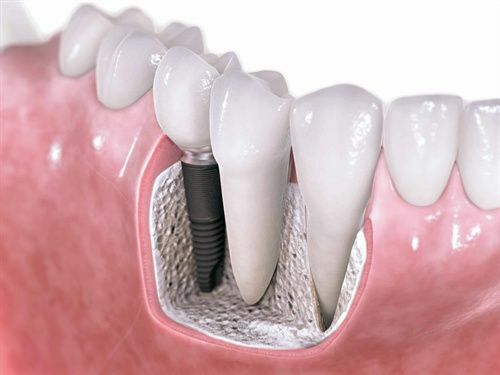 Dental implants can be taken care of in the same way that you've taken care of all your other teeth. People love getting dental implants over dentures because they look and feel so natural. Look at before and after pictures over the internet. A lot of people dramatically improved the look of their smile through dental implants. Some people have even left reviews for the dentist that did theirs. This might be something that you should look up. I'm sure you want the best man, or women, for the job. Remember, this is something you can have done even if you're afraid of the dentist. They'll have you comfortably medicated throughout the whole procedure. The only thing you'll be worried about? Nothing. You'll just look forward to waking up with a great set of teeth! Dental implants can be expensive. There are cosmetic dentists that'll make a payment plan with you. These payment plans are often available when it comes to cosmetic procedures like these. You might even consider taking out a loan. It's worth it if you really want to improve the look of your smile. I hope you find the right person to perform this procedure. The results are so worth the money. Why live with an ugly smile when you don't have too? I know you'll have good results. Make sure that you take care of your new teeth!